Ok, so I did another beer brewing joke. This was inspired by a label I drew for the first batch of beer I'm about to finish. 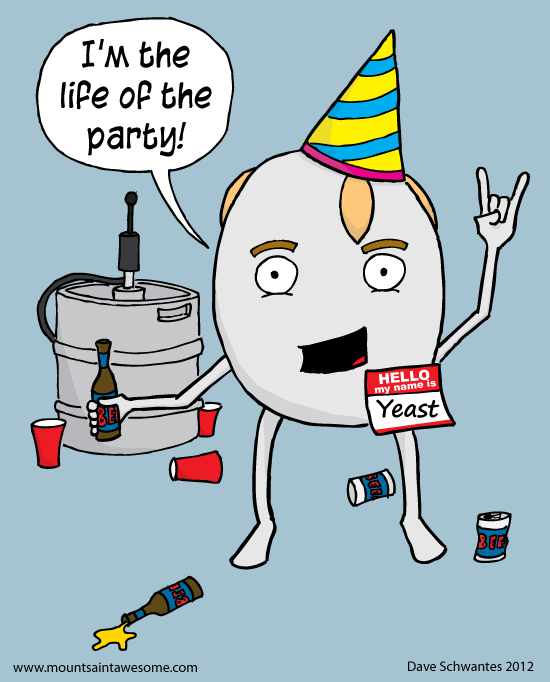 I really liked the happy yeast so I decided to make a single panel comic out of him (much like the Yo Soy Milk carton). I'd like to make shirts out of these comics but I'm not sure if enough people would buy them to make it worth while. Since I haven't pimped them yet this year... you should probably follow the Mount Saint Awesome Twitter and Facebook accounts because doing so will make you much more attractive to that special somebody you've been casually stalking for the past few months!